As you continue to revise and update your exporting plans, it is recommended that you keep your Marketing Plan updated too. In this way, you’ll always have a current version available to share with staff, bankers, investors, and others. Set your calendar to return to this workbook approximately every six months (or more frequently in the case of major changes to your plans). In addition, you can use the following Timetable Worksheet as an ongoing barometer of where you stand with your exporting plans, what steps are completed/yet to accomplish, and where changes to your plans may be needed. Identify key activities. Compile a list of tasks that are vital to the successful operation of your business. Be sure to include travel to your chosen market, as applicable. Assign responsibility for each activity. For each identified activity, assign one person primary responsibility for the completion of that activity. Determine scheduled start date. For each activity, determine the date when work will begin. You should consider how the activity fits into your overall plan as well as the availability of the person responsible. Determine scheduled finish date. Determine the date by which each activity must be completed. For select portions, potential overseas partners. Once you have your core marketing plan summary, you can also tailor it according to each specific/ potential audience, as needed. To begin, review your saved/completed worksheets. Determine which sections are going to be most interesting to your reader. (For example: For a potential lender, positive financial projections will be of greatest interest.) Use these “hot-button” facts to kick off your Summary. Write one to three sentences that summarize each of the worksheets, as noted. Keep in mind that this Summary will likely be your audience’s first exposure to your business and its export potential, so it’s important to include the highlights of your plan in an at-a-glance fashion. Once you engage your reader/audience with your overview, you can then share your full Marketing Plan. Small business exporters are selling billions of dollars of goods and services overseas every year– and you can be one of them. As you’ve discovered while working through this Planner, exporting can be an optimum way for you to grow your small business. In Chapter 6. Financing Your Export Venture and Chapter 7. Accounting Worksheets: Costing, Financial Forecasting and Product Pricing, you took an in-depth look at the financial side of getting ready to export. Now that you have your marketing plan in development, consider utilizing SBA’s Export Express to help pursue funding for getting your export operations up and running. SBA Export Express offers flexibility and ease of use to both you and your lender. It is the simplest export loan product offered by the SBA, offering up to $500,000 in financing. It also allows participating lenders to use their own forms, procedures and analyses. If you have been in operation for at least 12 full months and can demonstrate that the loan proceeds will support your export activity, you are eligible. SBA provides an answer in 36 hours or less, and can take the form of a term loan or a revolving line of credit. FACT 70% of all exporters have fewer than 20 employees. Contact your lender to see if it is an SBA Express lender. 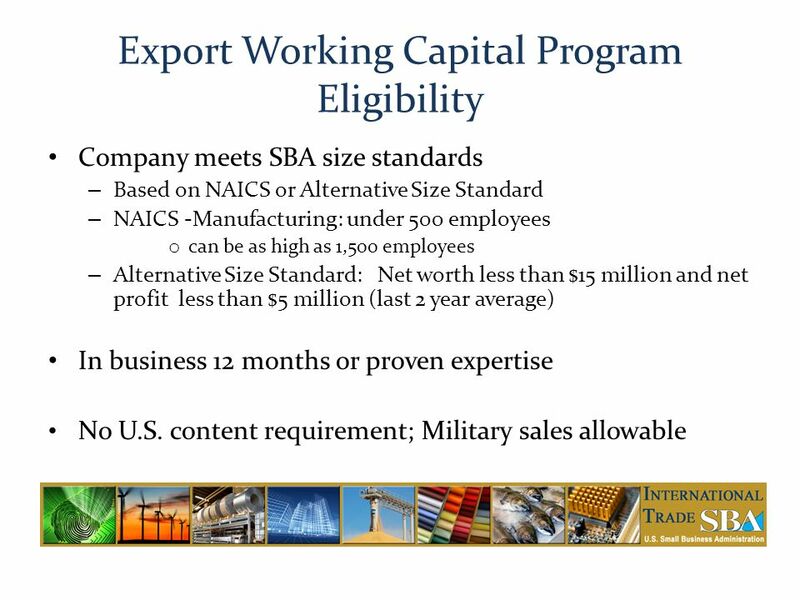 Lenders that participate in SBA’s Express program are also able to make Export Express loans. Application is made directly to the lender. The lenders use their own application material in addition to SBA’s Borrower Information Form. With so many options available to you as a small business pursuing your exporting goals, it can help to keep a quick list of resources. 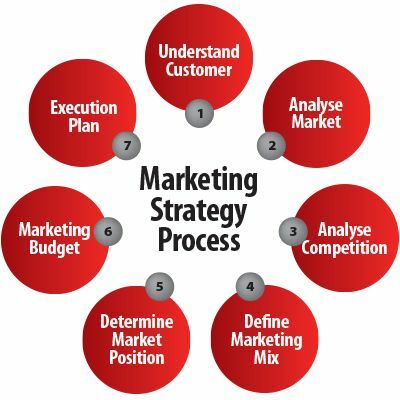 This worksheet helps you identify organizational resources that can provide programs and services to assist you in developing and executing your marketing plan.